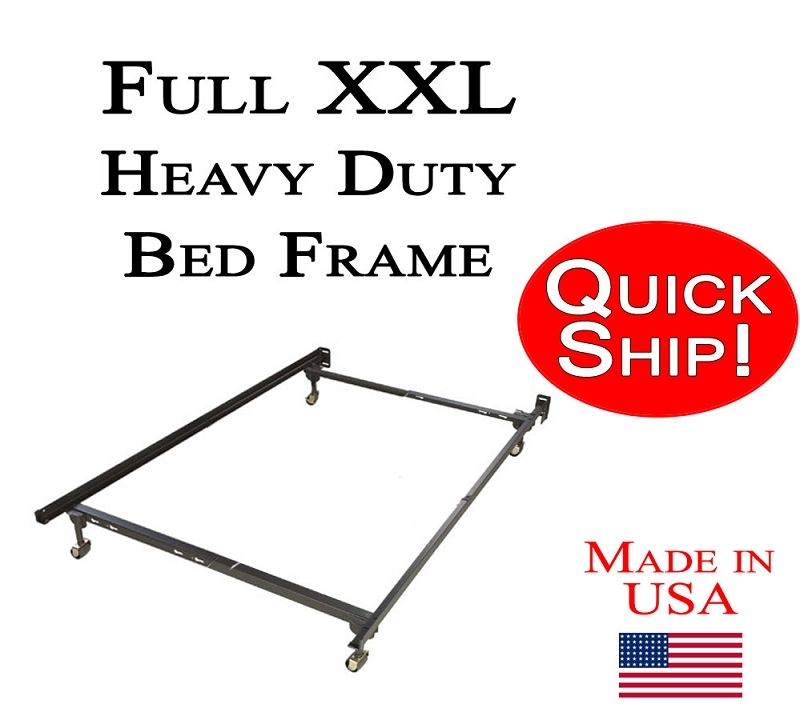 Full XXL Tall-Man metal bed frame, EXTRA HEAVY DUTY with large 2.25 in. plastic wheels. This frame is 6 ft. 4 in. long (76 in.) to accommodate the longer length of this specialty bed. No tools needed for assembly. This frame comes with brackets at the head of the bed to use with a bolt-on headboard if you wish, it is not necessary. The bolts for the headboard are not included because different headboards take different size bolts. This frame will lift the box spring off the floor 7.5 in. Heavy duty Full Tall-Man size bed frame with rollers.